Visit the Museum of Decorative Arts of Viana do Castelo in Portugal. The Museu de Artes Decorativas (Museum of Decorative Arts) was set up in a 18th century Palace, located in the São Domingos Square in Viana do Castelo, Northern Portugal. 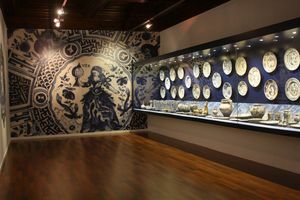 The museum has an impressive collection of furniture and ceramics from the 17th and 18th centuries, among which the valuable blue Portuguese china pieces stand out. 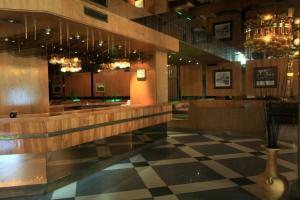 On the second floor there are three chambers covered with tiles that portray hunting scenarios and life at the Palace. Largo de São Domingos, Viana do Castelo. October to May, 10:00 -13:00 and 15:00 - 18:00h.